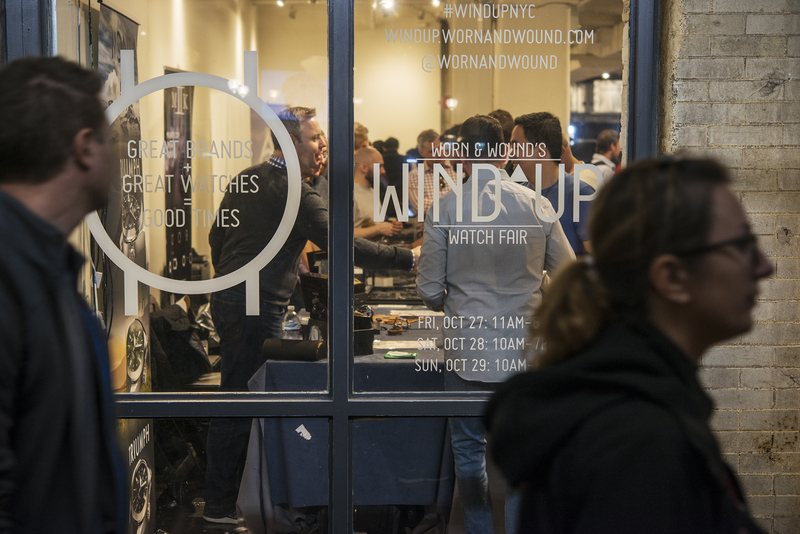 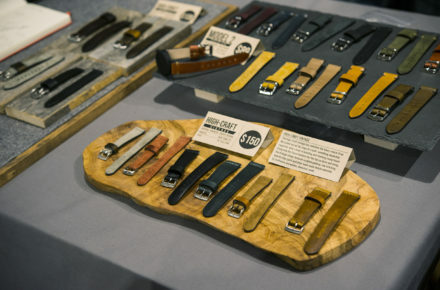 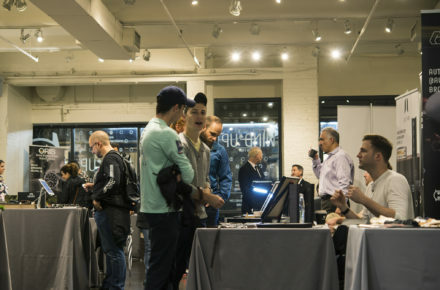 Last week our friends at Worn & Wound held their third annual Wind Up watch fair inside of New York’s famed Chelsea Market. 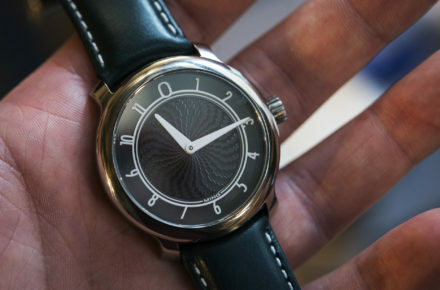 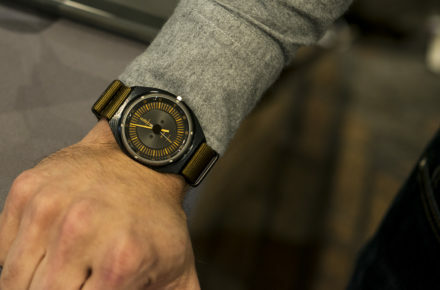 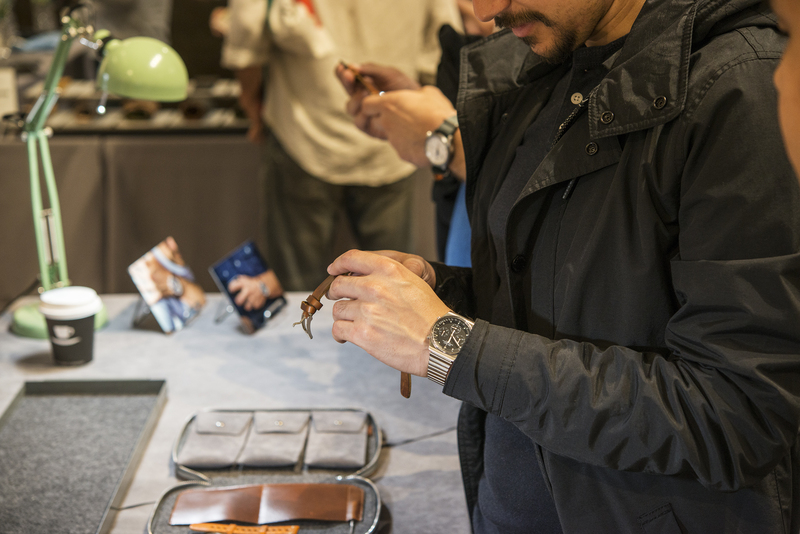 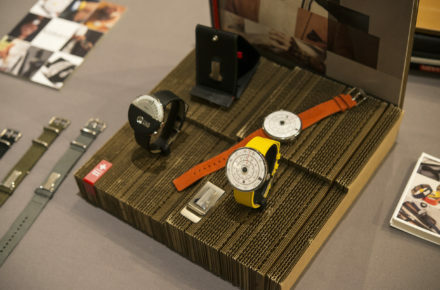 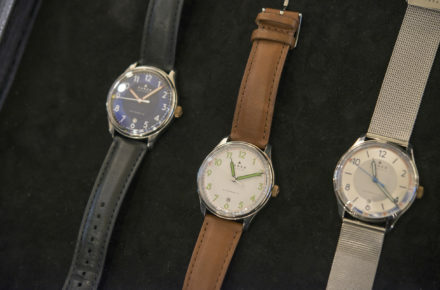 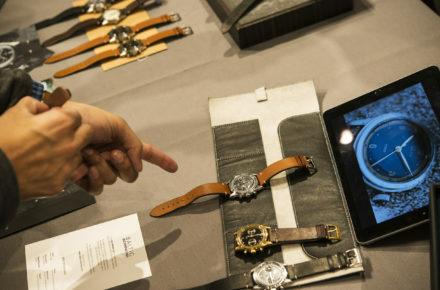 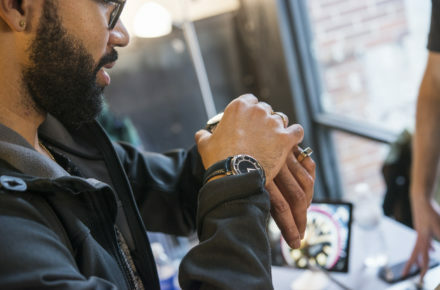 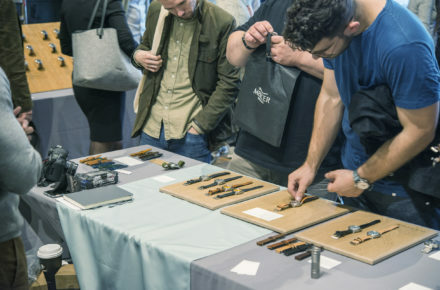 The event was a celebration of watch culture and included a healthy mix of some of our favorite micro-brands like Oak & Oscar, Autodromo, and Baltic; as well as some relative heavyweights like Oris and Orient. 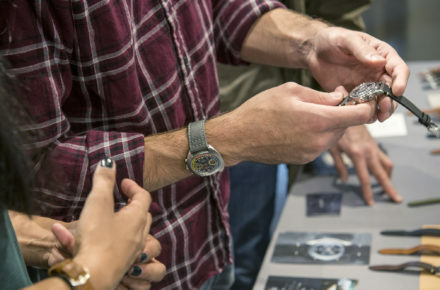 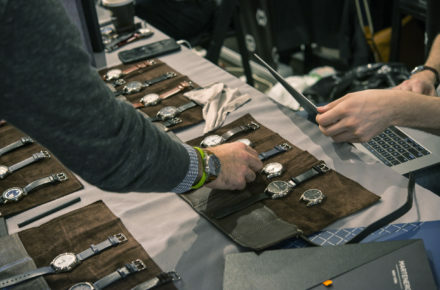 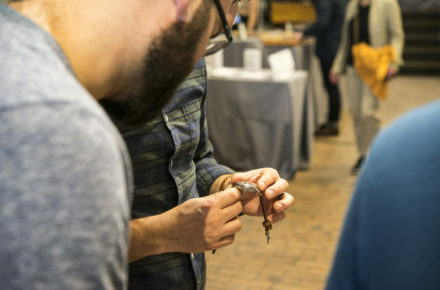 It’s become one of the most heavily trafficked watch fairs in the country, and we were on hand to see the latest from the independent scene, talk watches, and of course, snap a few pics. Read on for our takeaways. 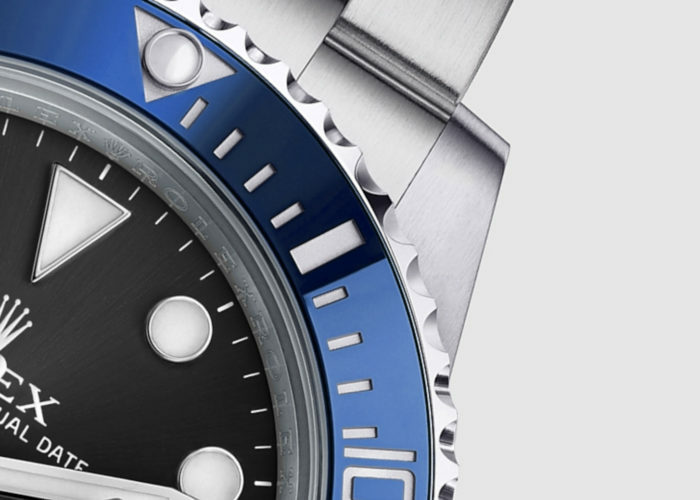 If there’s one message we came away from Wind Up with, it’s this: now is a great time to be in the market for a watch from an independent brand. 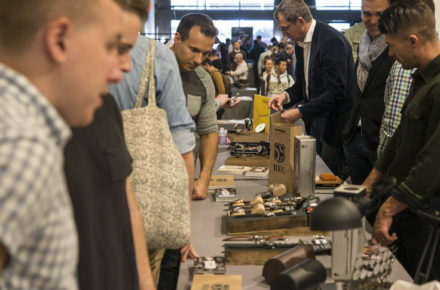 We found interesting and attractive options for pretty much every budget range, from $250 to north of $2,500. 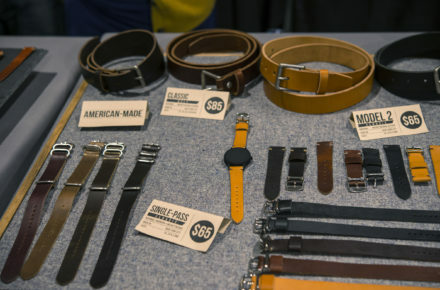 If you don’t see enough variety from larger mainstream brands, you’ll find a lot to love in the smaller indy brands. 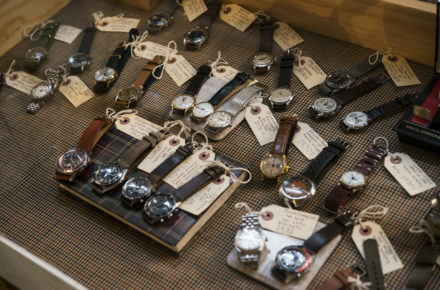 Without the pressure of maintaining market share or preserving iconic models, smaller brands are free to express a greater degree of creativity and diversity. 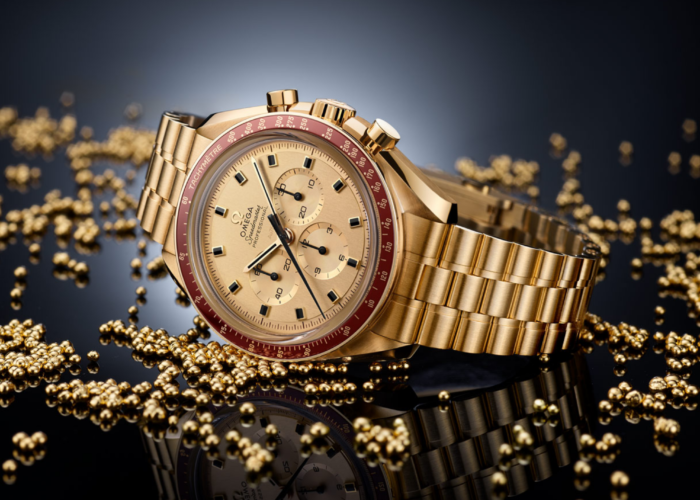 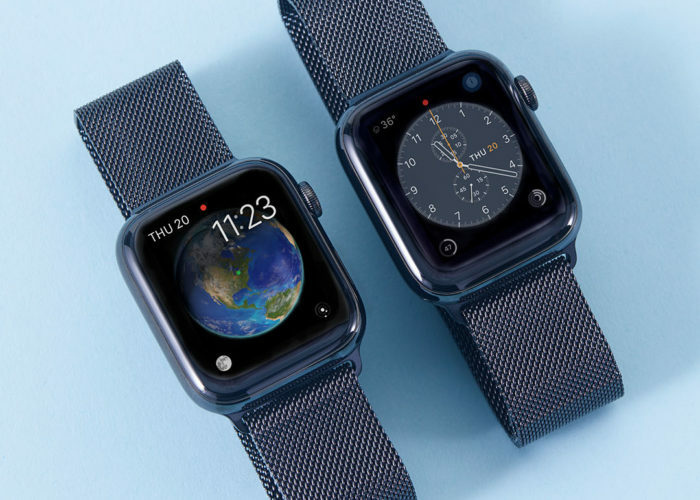 When the Swatch Group announced that they’d be limiting the supply of their ETA movements to third parties in 2013, many thought it would spell the death of the small, one-man show watch brands. 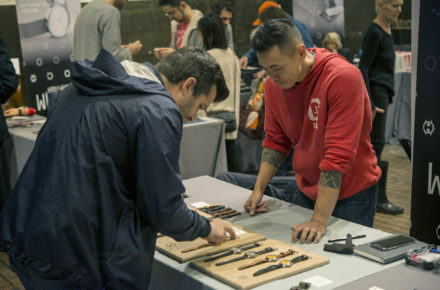 However, thanks to the emergence of other suppliers like Miyota (Japanese), Sellita (Swiss), Eterna (Swiss), and Soprod (Swiss) – the micro brands have been able to adapt and thrive. 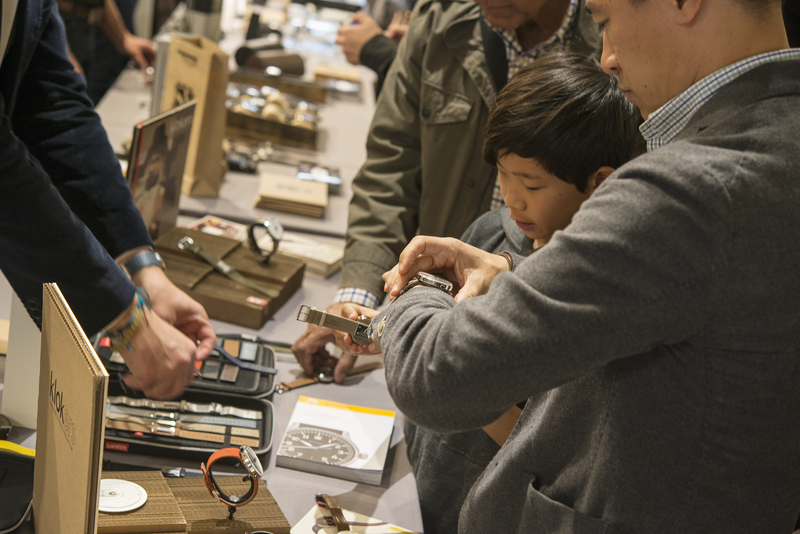 The Wind Up Watch Fair serves as a nexus point for like-minded individuals who see the value in these small brands both young and old alike. 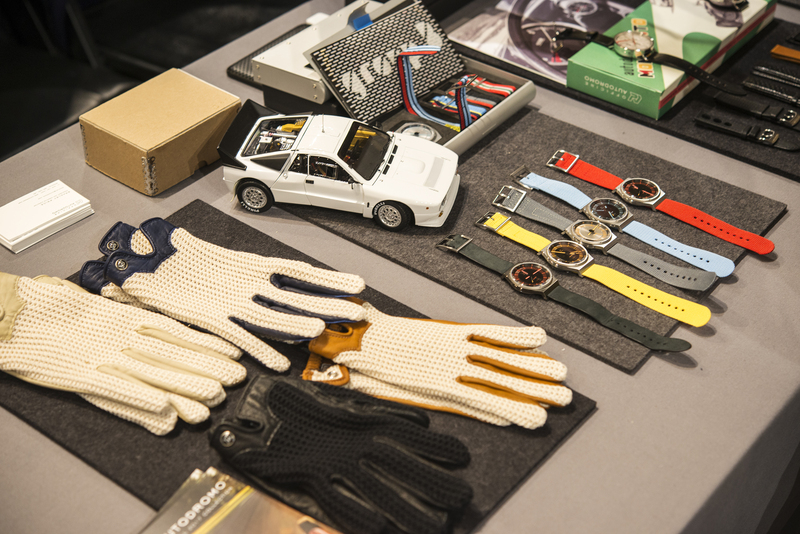 And making the discovery is half the fun. 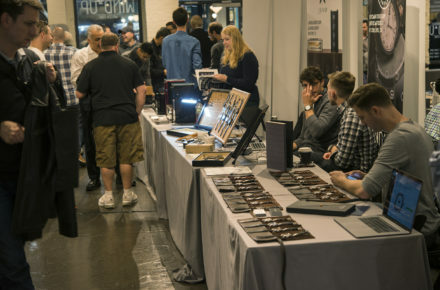 Below you’ll find our photos from the event along with some of our favorites called out. 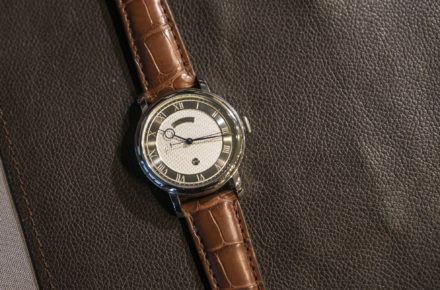 Chicago based brand Oak & Oscar introduced their first watch, the Burnham in 2015, and the 2 years since have brought two new watches to market in the Stanford GMT, and Jackson flyback chronograph. 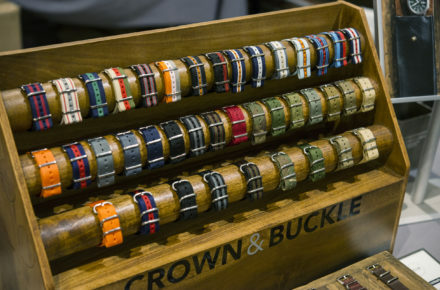 The designs are well thought out and practical enough for everyday wear, and we particularly love the colors offered, which feature subtle splashes of color in all the right areas. 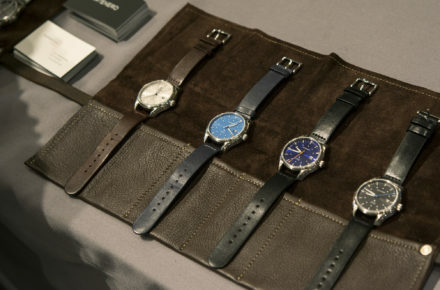 Better yet, these watches with some seriously good leather and fabric goods to travel with your watches in style. Learn more about Oak & Oscar right here. Autodromo has been around since 2011 offering a small collection of watches and accessories inspired by automotive themes and culture. 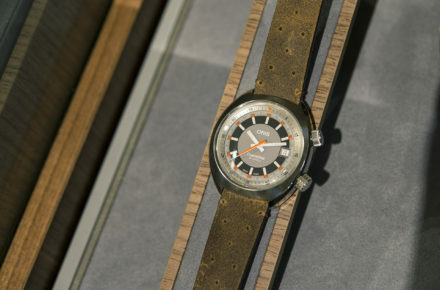 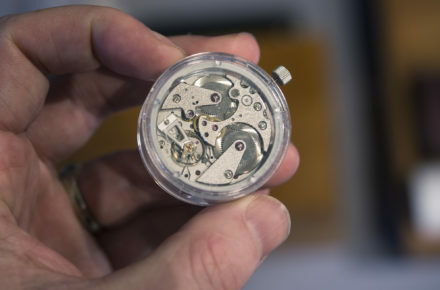 Their first watches were offered with quartz innards, but recent offerings, such as the Stradale and more recent Group B, can be had with mechanical movements. 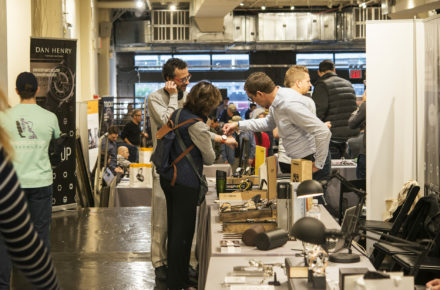 Prices remain accessible at under $1,000. 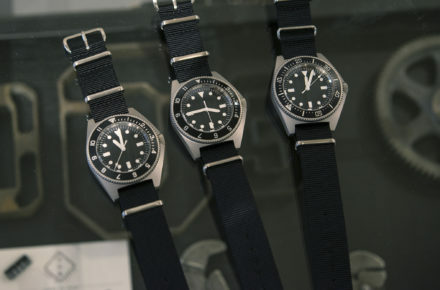 Check out more of their watches and accessories right here. 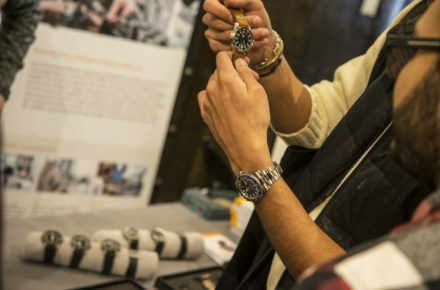 French brand Baltic takes some of the best traits of mechanical watches through history and recreates them in modern incarnations at accessible price points. 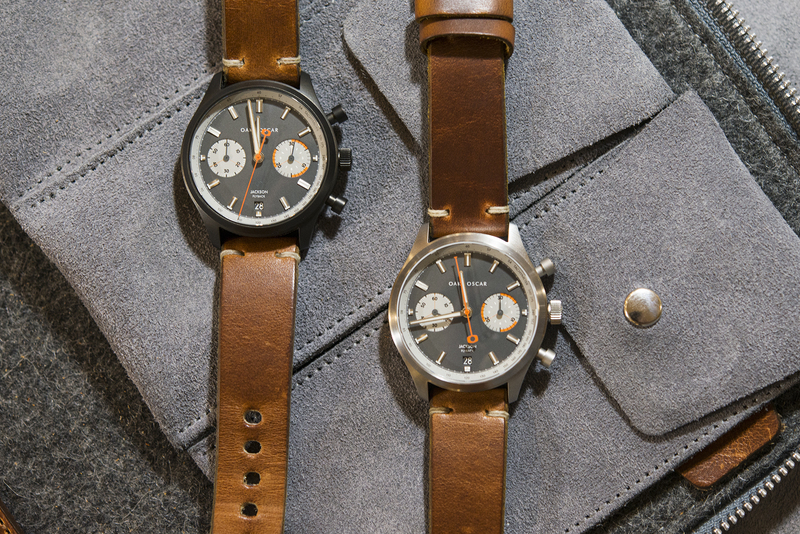 They call it vintage-inspired, we call it practical. 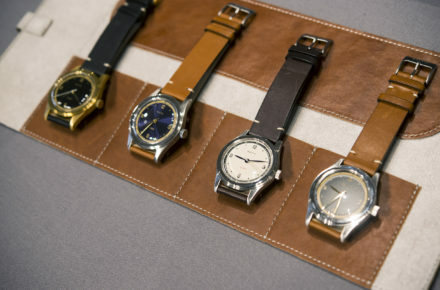 The designs are clean and straightforward while the dimensions are perfect for those that prefer actual vintage watches. 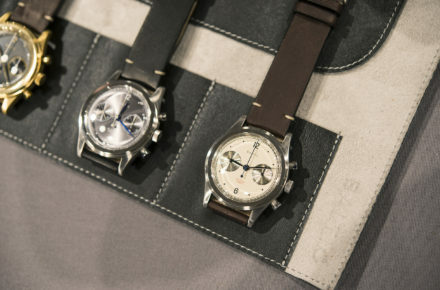 I mean, just look at the dial on that bicompax chronograph. Learn more about Baltic right here.